There are 1 cat videos tagged with reunited. This cat and dog pair are reunited 12 days after the cat went missing. 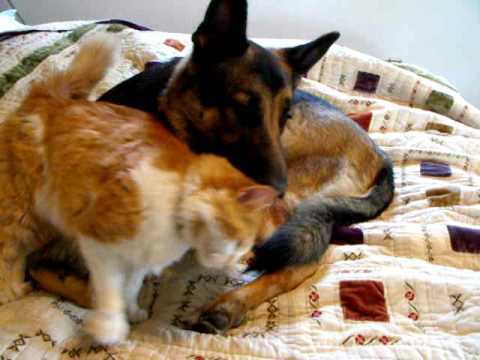 Clyde (the cat) rubs up against a happy Triton (German Shepherd) and shows how happy he is to be home with his pal.